The United States Hockey League announced today the appointment of Tom Garrity as the ninth President and Commissioner in League history. Garrity has served as the USHL's Interim Commissioner since November. "I am thrilled and honored to be named President and Commissioner of the USHL by the Board of Directors," Garrity said. "Having been in the League as an operator for six years, and most recently as the Interim Commissioner for the past six months, I am eager to continue working with the League staff and our member clubs, and I look forward to continue down the exciting path the USHL is heading." Garrity was chosen to lead the USHL following a successful 25-year career in sports administration and sales. 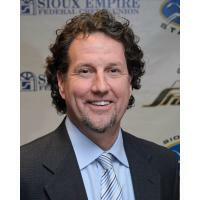 Since 2012-13, he has served as the CEO and President of the USHL's Sioux Falls Stampede and Sioux Falls Sports, LLC, which also encompasses the Sioux Falls Canaries baseball club. After Garrity joined the Stampede, the team increased their overall attendance by 116% and became the only team in the USHL Tier 1 era (2002-present) to be named USHL Organization of the Year in back-to-back seasons (2013-14 & 2014-15). Garrity was named USHL Executive of the Year in 2014-15 after the Stampede set several team and league attendance records, and captured the 2015 Clark Cup championship. Under Garrity in 2015-16, the Stampede set the USHL single season attendance record, drawing 200,597 fans over 30 games at the Denny Sanford PREMIER Center, an average of 6,687 fans per game. The Stampede average was not only tops among all USHL teams but was one of the best averages in all of college and minor professional hockey. Most recently, Sioux Falls averaged 6,563 fans per game in 2017-18, once again leading the USHL. In his first two seasons with the Canaries, Garrity was instrumental in increasing the team's overall attendance by 85%. In his first season with the team, the Canaries saw an increase of 72% from the previous year, one of the largest increases in all of professional baseball. In his second season, the Canaries increased their attendance by another 23%, the second highest of any independent baseball team. In addition to his work in Sioux Falls, Garrity is the founder of Quan Sports Marketing LLC, a sports consulting firm specializing in leading sports franchises in the areas of revenue generation, expense and operations management. Quan's clients have included the NHL, NBA, WNBA, Minnesota Wild (NHL), Houston Aeros (AHL), and Arizona Coyotes (NHL). In 2010, Quan Sports was hired by the Coyotes to oversee the ticket, suite and corporate partnership departments. In 2009, Garrity was hired by the MLB's Houston Astros as Senior Vice President of Sales and was responsible for ticket, suite and corporate sales. The Astros experienced strong growth in the areas of corporate sales, season and group ticket sales. Garrity was instrumental in developing a strong sales culture and instituting new ticketing platforms that drove new fans. Garrity worked for the NHL's Minnesota Wild from 2003-2008 and held dual duties as President of the Houston Aeros hockey club, the AHL affiliate of the Wild, and the Minnesota Swarm, a member of the National Lacrosse League. In 2007, additional responsibilities included overseeing the Wild's Corporate Sales/Service and Suite Sales and Service projects. Garrity was named NLL Marketing Executive of the Year for 2006-07 and Executive of the Year in 2007-2008, after increasing average Swarm attendance by more than 1,000 fans per game. Prior to joining the Aeros, Garrity served as President of the AHL's Cincinnati Mighty Ducks. He was named the second President in franchise history in 2001, after spending the previous two seasons as the club's Senior Vice President. In his first season as President in 2001-02, the Mighty Ducks attracted a franchise-record 218,384 fans. In 2002-03, Cincinnati established franchise records in sponsorship, season ticket and group sales. Garrity's long and successful career in sports administration has also included occupation with the Minnesota North Stars/Dallas Stars (NHL), Minnesota Timberwolves (NBA), San Jose Clash (MLS) and the University of Minnesota. "We are honored and excited to have Tom be our next Commissioner," said Ryan Schiff, Chairman of the USHL Board of Directors. "Having worked with Tom for the past six months as our Interim Commissioner, it became abundantly clear that this job is a perfect match for his unique skill set." Garrity is a graduate of the University of Wisconsin at Platteville and is a native of Prairie du Chien, WI. He and his wife, Gina, have 4 children: Caitlyn, Connor, Ceira, and Cameron.